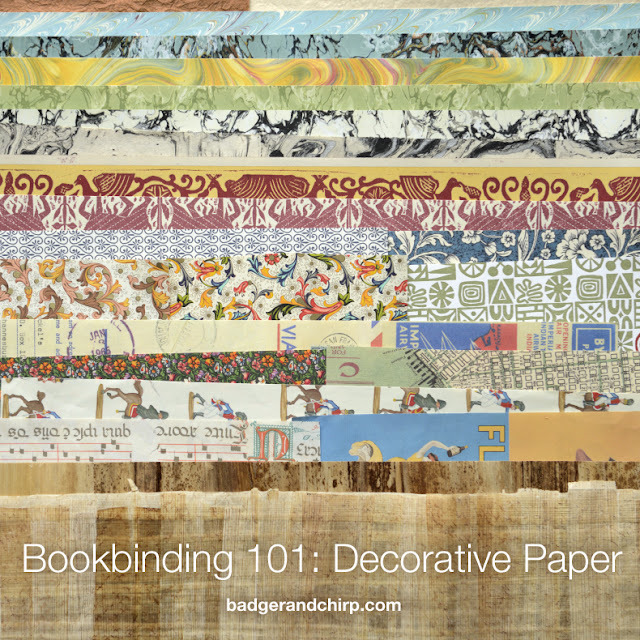 There are thousands of options for using decorative paper in your handmade books. Links at the bottom of this post are places where the papers discussed below can be found. Following are seven short HD videos showing several popular types of bookbinding papers. Although video isn't quite the same as holding a paper in hand, it's actually does a decent job of giving a sense of what a paper is like, much better than a still photo can do. Hopefully these can help you, whether a new or experienced bookbinder, gain a sense of papers you may not have handled before.